“We’re really pleased with the result and the way the XV has performed”, a very happy Rob Herridge said after returning to service park. “We’ve had a few teething problems, and the boys in the crew have worked really hard to keep us in the event. There were a couple of long nights replacing the steering rack and the gearbox. 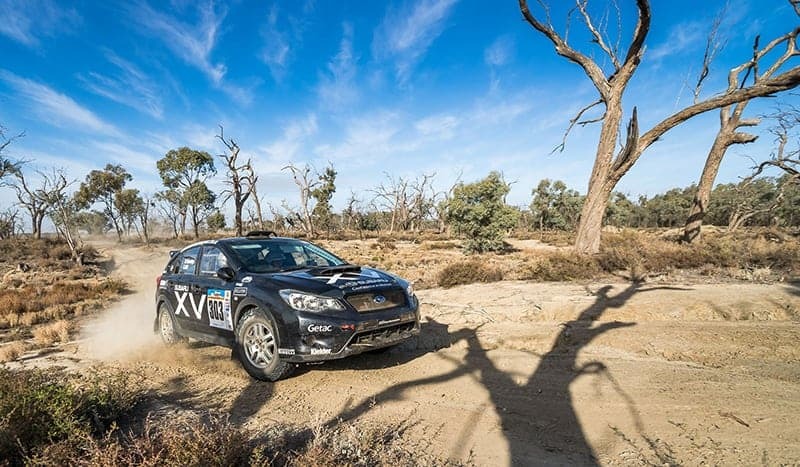 The fifth and final day of Safari started to the west of Wentworth for the 100 km Warrananga stage, followed by two shorter stages that ran parallel to the Silver City Highway. Rob and Sam started the day in fourth outright, following the retirement of first-placed John Hederics overnight. But the XV showed great speed today and overtook Phil Lovett on the second stage to collect the final podium position.